For information about bespoke/academic training courses please click here. Drawing upon PhotoVoice’s award winning expertise gained from running participatory photography projects with excluded communities around the world, we run a public training programme for practitioners who would like to learn more about the practicalities and ethics in running participatory photography projects. Our experienced trainers deliver fast paced, participatory workshops that create a forum for questions and discussions within the field. PhotoVoice members receive special discounts and opportunities. Find out how to become a member here. Discounted rates are only available for those attending the training in an individual capacity. They are not available for invoiced payments or those attending through organisations. While our new membership and supporter scheme is being launched, PhotoVoice has closed registrations for membership. The training fee includes annual membership, and attendees will be enrolled automatically once the new scheme is launched in the next few months. Non-members, organisations, charities and universities. It was a great course, expertly run. A good, comprehensive yet manageable introduction to PhotoVoice. 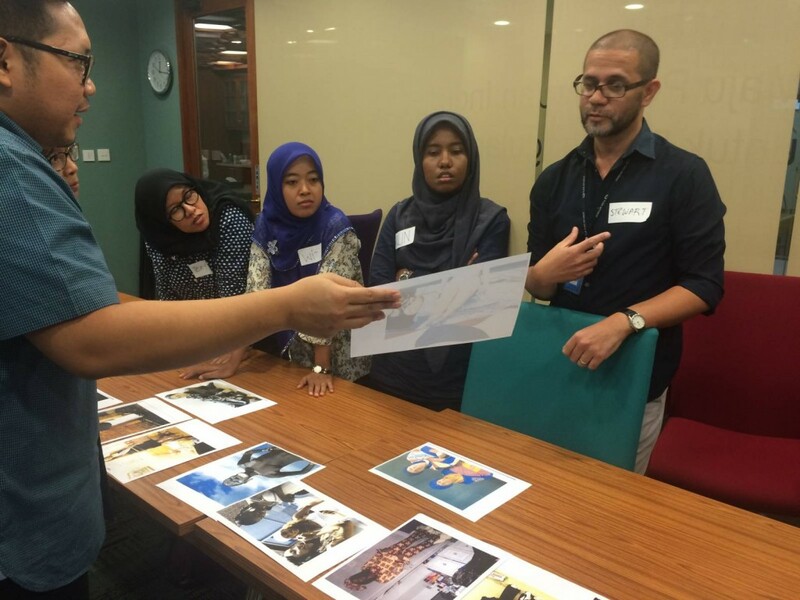 This workshop was thoughtful and provided a solid foundation for a photovoice project. The PhotoVoice training was excellent. There were two key stand out points for me: The quality of the training materials (including photo packs used in session and the handbook) were excellent and a great resource to support me to begin planning and implementing my own projects. The facilitation was excellent, and ‘led by example’ in terms of showing how a really good project could be run. I really appreciate that Photovoice has decided to open the method and share their knowledge and experience fro anyone who is interested. Taking part was truly inspiring. Thank you! I learnt so much! A great course and will highly recommend it to others. Very interesting workshop with very interesting people. I would suggest to my university to organise such workshops with PhotoVoice. This was probably the best workshop/conference I have ever attended. 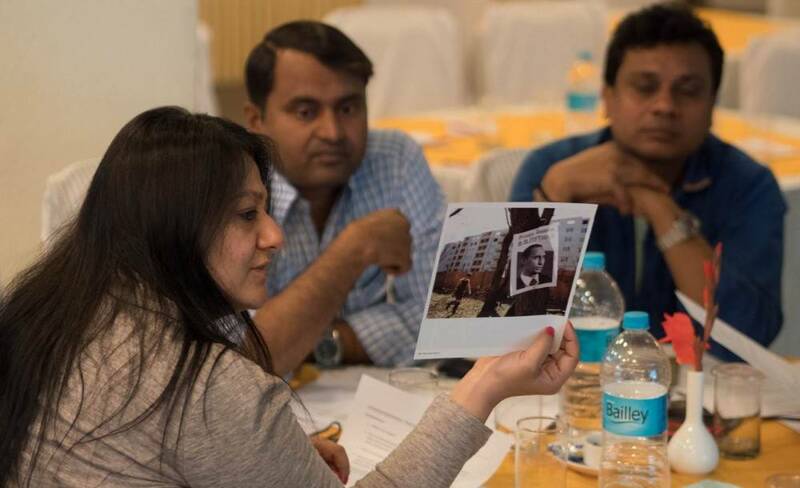 The course is suitable for a wide range of participants interested in social change and photography or digital media including: photographers, visual practitioners, voluntary sector and NGO staff, campaigners, statutory sector workers, researchers and academics. We also design and run bespoke training courses. If you want to incorporate participatory photography into your work, we can train your staff team to have an understanding of the practical and ethical principles of the methodology. To book a bespoke training for up to 12 employees or students, please consider our training for academics and institutions. Normally, courses will contain a maximum of twelve participants. PhotoVoice reserves the right to cancel courses and change workshop dates at any time without liability; in this event you can transfer your booking to another date or receive a full refund of the fee paid. PhotoVoice cannot refund any travel or accommodation expenses. If you have to cancel your place but have found someone to replace you no fee will be charged. If you wish to transfer to another date no charge will apply up to 2 weeks prior to that date. For transfer made within two weeks of the date there will be an additional fee of 25% payable. Please note: if you transfer your place you cannot receive a refund if you cancel the new date.